Last weekend I spent nearly $100 on new clothing for E3 2011. Now my flight is cancelled, I'm not going, and the only question I have is how are two unborn babies going to come up with the cash to pay me back? Money doesn't grow on trees, and it certainly doesn't grow inside a woman's uterus. I spent nine months of my life making sure. My memory is rather fuzzy about the time period, but I'm sure if there was money in there I wouldn't have come out empty-handed. On Wednesday, Emily and I went to the baby doctor, figuring it could be the last appointment I was able to make with E3 happening the next week. We sat in a darkened room while the doctor applied copious amounts of clear jelly to her tiny person-filled belly, and then watched blurry black and white images of what we've been assured are a pair of young men as they rolled about, kicking Emily in the pelvis, and basically just having a good time at our expense. The babies were healthy, active, and in good spirits. "We're going to have to take them out next week," the doctor said. According to the doctor, who knows more about these things than I do (or at least I hope so, or I've been in the wrong line of work) while both babies are indeed healthy and in good spirits, one of them is practically swimming in amniotic fluid, while the other one has only a small, slowly diminishing amount. I took this to mean one of my children is stealing amniotic fluid from the other. This made sense to me. My younger sister used to steal my DVDs and trade them in for cash at GameStop. I wondered if GameStop started taking amniotic fluid. It would certainly explain the condition of some of the used games I've purchased there. Being the responsible future parent, I immediately asked the important question. "Can we wait until Friday?" See, E3 proper runs Tuesday through Thursday, so I'd be able to make it home Friday without missing anything. I'm responsible! The doctor responded with the medical wince. That's never a good sign. If you ever ask a medical professional a question and they give you the medical wince, you probably have only a few months to live. Yes, even if you ask them if they want mustard on their sandwich. Just quit your job at Subway and live the remainder of your life to the fullest. So that was a big no on Friday. Remembering the teachings of Rebecca Black that meant Saturday and Sunday, which come after, were also right out. So that's it. 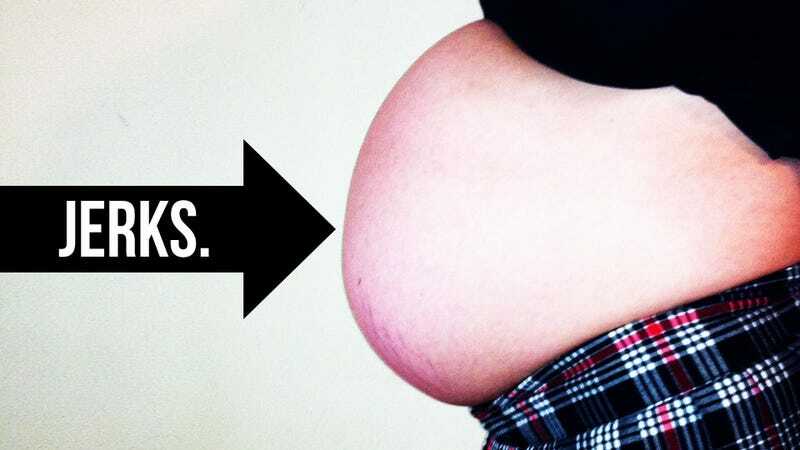 Instead of spending a week trying out the hottest new games on the hottest new platforms, replacing my pale white skin with crinkled sunburned rash, and sweating through the two layers of clothes I wear to help absorb sweat, I'll be waiting for two little men to pop out of my significant other's stomach. If I squint my eyes just right I can probably imagine I'm watching a demo for Aliens: Colonial Marines. Everyone told me that having children would seriously cut down on my gaming time. I just didn't think they'd be doing it quite so soon. Perhaps in a few years they'll follow in their father's footsteps, begging to come with me to gaming events rather than keeping me from going. Conceived during BlizzCon 2010 and born during E3 2011, they are destined for video game greatness. The chosen babies. That's right, I totally got laid at BlizzCon. Feel free to toss me a high-five in the comments section. Writer's Conscience Note: The sour tone is all in jest, of course. The birth of babies, especially twins, is a beautiful, wondrous, life-changing event that I look forward to with everything I am, even if I'm going to spend the next few years covered in poop.